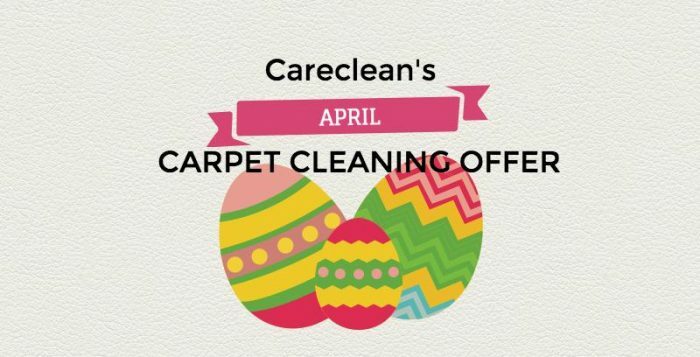 Carpet & Upholstery Cleaning in Essex | CareClean Essex Ltd. THE MOST THOROUGH CLEAN YOU HAVE EVER SEEN OR IT’S FREE. WATCH CARECLEAN’S PROFESSIONAL AND EFFECTIVE CLEANING PROCESS. Please note that our cleaning rates start at £120. IF YOU ARE NOT HAPPY WE WILL RETURN AND RECLEAN FOR FREE. STILL NOT HAPPY? WE WILL REFUND EVERY PENNY. At Careclean, we provide a wide range of professional cleaning services in Essex and surrounding areas, including carpet cleaning, upholstery cleaning, leather cleaning and rug cleaning. The technicians at Careclean enjoy working as part of the Essex community, cleaning carpets, rugs and upholstery for both domestic and commercial property owners. Find out more about our services below, or scroll down to see what some of our past clients have to say about our cleaning services. Areas we cover include: Benfleet, Billericay, Brentwood, Burnham-on-Crouch, Chelmsford, Essex, Hockley, Hornchurch, Hutton, Maldon, Rayleigh, South Woodham Ferrers, Southend-on-Sea, Thorpe Bay, Upminster, Wickford. Being on the Maintenance Plan is lovely knowing I can have my suite & carpet professionally cleaned on a regular basis - it's a lot easier than doing it myself and is well worth the cost. Efficient & fast cleaning service. I would recommend it to other family & friends. Very professional service. Good quality cleaning of my carpets & furniture. Keeps my carpets in good condition and I appreciate the reminders when cleaning is due. Suite looks like new! Good advise in looking after it. Operator very efficient, helpful and friendly. Will use your company again when needed. As always - an excellent service. Thank you for a great job done. Professional and always do a good job. Our carpets retain a freshness due to being on the Maintenance Plan and having a regular clean. Being on the Maintenance Plan means we have the luxury of knowing our suite or carpets will be cleaned at a pre determined time. Service is always excellent and on time. As far as we are concerned the Maintenance Plan is excellent. Very pleased with the finish. Careclean are friendly & efficient. Very Very good. I will tell all my friends about you andI will have you again. Excellent. Good, quick and efficient job. Workers friendly and well turned out. Front room carpet came up cleaner than I expected! Very pleased overall. Professional & efficient in all aspects. Very professional, conscientious & courteous. Always so good. Never any problems. This is an excellent service. Reliable, quick, efficient and a pleasure to use. Thank you. I've used you a few times before and no hesitation in getting you back. Very pleased with the service and results. The benefits were speed & thoroughness. Vinny was a very clean worker & returned furniture to its position in the room. Very good - Always does a good job. Friendly and efficient service. Very pleased with end results to our suites and rug. Phil was very friendly and did a great job. Our carpets get a lot of traffic but the twice yearly clean on the Maintenance Plan has kept them looking good for many years now. Regular Maintenance Plan keeps carpet & suite in good condition. Helps keep it looking good & should lengthen their life. A good job - very efficient. Very professional. Vinny was courteous & friendly. A real credit to your company. I will recommend. Very professional and informative on the aftercare of all items cleaned. Carpet and furniture extremely clean. The Maintenance plan keeps the carpets in a good condition. A call from you every 6 months to book a day and time - perfect. Very pleased. An excellent job. Great service - Really happy. My carpet is so clean. It is reassuring to know my furniture is being looked after so well being on the Maintenance Plan. Professional, polite and quick - but thorough. Would use your services again. Being on the Maintenance Plan it is helpful that I get a phone call when my next clean is due and paying monthly means no big lump sum to pay. Excellent job.....So good at getting out difficult stains. The Maintenance Plan leaves me with no problems. I know you will turn up twice a year and you always do an excellent job. Whole service is excellent. Information and written aftercare is good. Very pleased with Nick's work. Thank you. Very pleased overall with all aspects of the service from quotation visit through to completion and I will recommend your company wherever possible. Nick did an excellent job. Very professional. Total honesty....didn't promise what couldn't be achieved....aims were realistic. Nick was very polite, professional & did an excellent job. All staff were polite, helpful & informative. Arrived on time. Cleaning looks excellent at the time of staff leaving. Good quality work. Efficient, friendly & reliable. Nick is a good worker. Carpets havn't been cleaned for years & the results are amazing. I would not use anyone else for this work. Excellent customer service & attention to detail. Vinny was very courteous & efficient. Excellent clean. The rug came up excellent! Thank you. Clear and honest assesment. Efficient cleaning and polite, communicative staff. Job done quickly and on time. The procedure carried out by Phil was excellent. Very thorough and friendly, you did an excellent job. Well presented and efficient. Good advice on keeping suite clean. Stains removed from carpet that I thought would be impossible to get out. Professional, polite , excellent value. Absolutely pleased with the cleaning, both suite and carpets. New lease of life for both. Very quick and efficient and all shown and explained well. Careclean are very courteous & I didn't have to wait too long for the work to be carried out. All personnel were polite & friendly. The cleaning process was quick and efficient. The carpets came up better than expected. Overall very satisfied. Careclean are reliable & effective. Professional service & friendly staff. The Maintenance Plan means knowing that the carpets will be thoroughly cleaned twice a year is satisfying. Also, if a stain appears you will come out & clean the area at no extra cost. The cleaning service has been great. I'm sure if we had used this service earlier the sofa would have looked new but I am still impressed with the finish. Nick has done a great job, very professional and polite. I can't believe how good the suite has cleaned - really excellent. Carpets were like new. A very good job, especially as all the carpets are at least 15 yrs old. Having the Maintenance Plan ensures the carpets are cleaned every 6 months staisfactorily. Thank you for your cleaning process and Thanks to Vinny for his courteous way & help. Superb finish. All stains gone. My lounge looks & feels much cleaner & brighter. I will definately recommend you to friends. Another good job extremely well done. I am sure the life of my carpet has been extended thanks to your good work. Carpets look like new. Vinny was on time and quick. Will most certainly use Careclean again. Many thanks. Very good. Especially pleased that our kitchen carpet, which was looking very shabby, cleaned up so well. Very impressed with standard of cleaning and with Nick who carried out the work. He was professional and friendly. This is the1st time we have had our carpets and upholstery professionally cleaned and we have been delighted with the results. I am also pleased that I took out the Maintenance Plan so that we can keep them in good order. Nick, who cleaned the carpet, worked around me and my visitors very well. Thank you. Very pleasant and efficient whilst carrying out a thorough clean of the specified area. When cleaned, carpet looks like new! Friendly, efficient & professional service - excellent results - Thank you Vinny ! 3 piece suite still looks like new. Well pleased. Very good. Nice clean carpet. The regular cleaning from the Maintenace Plan keeps carpets in good condition. Service is excellent. Being on the Maintenance Plan means I never forget to have the carpets cleaned and as a result they always look good. Great customer service. Brilliant clean. Really helpful team. Thank you! You managed to lift all stains on an old carpet. A very professional service - Thank you. Made such a difference to the hall & stairs carpets and suite. Very professional - Thank you. My carpet & furniture looks like new. Nick was very professional, helpfull, quick & efficient. I would have Careclean again and recommend to anyone. Very happy with the service provided. The carpets look very clean and fresh. My settee was very dirty and has been brought back to life due to the hard work and skill of Nick. Very efficient, friendly and a good job done. I received a lot of information regarding the area that was worse than the rest of suite. However, I am really pleased with the result as this was the first time cleaned. Nick has done a good job. Having a dog, this is the best way of keeping our carpets and our suite clean and fresh. Punctual. Kept informed. Liked the guarantee of satisfaction. Carpets are clean & fragrant & look marvellous. Vital service for anyone with dogs. I am very happy with the Maintenance Plan. Thank you.I am very happy with the service from Careclean. Helpful office staff. Friendly, pleasant, efficient cleaning staff. Highly effective cleaning. Reminders and courtesy calls, much appreciated. Very professional service which provided everything we required. Being on the Maintenance Plan gives me peace of mind knowing I can call you for any accidental spillages. It's also great to know the carpet will get a thorough clean annually & highlite clean too. Excellent service and a nice, clean suite. Sofa looks like brand new again. I have always, without fail, received an excellent service from Careclean. Careclean are well organised, friendly & efficient. Good all round professionalism and nice end result. We have used you before and found your work to be excellent & would certainly use you again. The fact that we don't need to replace our carpet as has come up like new. You left a 10 year old suite looking brilliant. Service was first class - you did what you said and were polite, friendly and mess-free throughout. Arrived early meaning I wasn't too late for work. Couch came up amazing - looks like new again. Would definately recommend & use again. I was most impressed with the cleanliness of the carpets which, in parts, I thought were beyond redemption but Phil did a very professional and excellent job. The suite also came up bright and clean. Well done. Very good, nice and flexible. You managed to remove a few stubborn stains so I appreciated that. Thank you. The Maintenance Plan keeps our furniture in top condition and the good condition of our suite is achieved by yours and our care. A good, professional job. Well done. Will recommend to friends. Very pleased with professional service and advice given. All very professional, friendly and efficient. Kept to time of arrival which helps when you are staying in for someone to call. Email reminders also appreciated. Very good. Very happy with end result. We have a small dog so the carpets do get grubby so the clean is important. The carpets are 8 years old and still come up well. Having the perfect care maintenance plan keeps the carpets looking new. Very good - Not the cheapest but if you pay peanuts, you get monkeys !!! Good job done. Nice, fresh looking carpets and rug. Once again we are delighted with standard of the work. Carpets and suite are as good as new. Will continue to use Careclean for any future work. Thank you very much. Excellent company and peace of mind knowing I will get the best result. Having the Maintenance plan enables us to keep out furnishings maintained on a regular basis rather than on a needs basis when they may have become too soiled to retain their original state. Satisfied as always !! Phil was very helpful in moving stuff that we are now unable to do !! Thank you, we would certainly recommend you. Good quality clean of furnishings and carpet. Prompt, efficient, very pleasant staff and a good result for my carpets and leather seating. Definitely will use Careclean again. For me the Maintenance Plan works. I don't have to arrange anything. You tell me when my next clean is due and make the appointment. Everyone wants an easy life. Keep going. My 20 year old leather settees look like brand new and there's no need for me to have them re-dyed. I would definitely recommend you to my friends. Professional & efficient quality service. Wonderful work. The Maintenance Plan is a lovely service and ongoing will be great to have. Professional, thorough and friendly. Brilliant results - I'm very satisfied. I have always found the company very efficient and professional and the cleaning jobs very good. Very pleased with suite & carpet clean. Both are 100% better than they were before. Vinny was very friendly & polite. Gave good advice. An excellent, prompt and efficient service. We are pleased with the result. Being on the Maintenance Plan means my carpets get cleaned twice yearly and always look excellent. I thought I needed new carpets but the colours have been brought out beautifully. Thank you. Being a Maintenance Plan customer means the carpets not only get a thorough clean once a year but the top up clean in between keeps the carpet as clean as possible. The dirty area, where the dog sleeps, was restored to it's proper cleanliness very well. The fresh clean aroma of spring. Very professional. Good to know that everything has been deep cleaned & protected. Excellent quick service - carpet looks like new. Upholstery also fresh & looking also like new. Thank you. Very efficient. Extremely good clean of leather suite and carpet, by Nick. Nick was very professsional, helpful and friendly. Very professional & excellent results. The Maintenance plan is a great way to pay for our cleaning. It provides 2 cleans a year and spreads the cost monthly and also in an emergency I have the peace of mind to know that I can call up and the problem will be resolved really quickly. Great to keep quality carpets looking as good as new. We have had builders in and the plaster dust had gone everywhere...so much better after a clean! Once again a first class clean of my carpets. The Maintenance Plan is beneficial not to have to worry about the state of the carpets as a clean up will come regularly! Nick has done a brilliant job and was very professional. The benefits of the maintenance plan is to know they will all be cleaned every 6 months. Your staff was very friendly and kind. I would highly recommend. As an established customer, we feel Careclean provide an efficient and reliable service. Their customer service is excellent. Trust worthy and hard working, they all do a thorough job. Thank you for being an honourable company. Having had my carpets & rugs cleaned by Careclean for several years I have always found the staff to be Courteous & friendly. The service reliable & professional with excellent results. The whole process has been professional, efficient and yet friendly and helpful. I am delighted with the service and would certainly use Careclean in the future. Thank you. Very good. Would happily recommend you to others. Friendly, courteous and efficient. Would highly recommend. Vinny was friendly & professional! Thank you very much. Excellent service from the 1st phone call to completion of the cleaning. We will definitely recommend you to friends and family. Friendly & helpful. The benefits are doing the best for the customer and so many options. Very good. Very good -confident and happy with outcome. Thanks. We have always been pleased with cleaning provided by you for our home carpets and will return to you when we need more. The recent major task of cleaning the church chairs was carried out efficiently, honestly and with generous financial support. Very courteous and efficient explained details reagrding care of furniture. Very informative, professional and I would recommend your work without hesitation. Thank you. Excellent service. Punctual and very professional. Would definitely recommend Careclean. A good, professional job. Thank you very much. Professional, helpful, extremely coutreous service from start to finish - the initial quote and advice from Kevin to the cleaning of my curtains and 3 piece suite by Vinny. Definitely recommend. Overall service excellent. Vinny was excellent; professional & friendly. Explained everything very clearly & answered any questions clearly & with utmost courtesy. Professional, really pleased with the end result- suite looks like new! Extremely efficient with no fuss or inconvenience. Very pleased with the results and happy to recommend to others. Careclean did a good job. I cannot find a fault with anything. The work & Vinny were both excellent. Lovely guy to have working in our home. Can't fault any aspect of the clean. Nick pointed out any marks or stains that were a problem. Careclean runs like clockwork. Efficient & thorough. The Maintenance Plan spreads the cost of a full clean! The carpets & furniture look like new. An excellent company. Would recommend you to anyone. Very efficient cleaning & good timekeeping. The service and attention to detail was first class. Very professional. Nick was very helpful and certainly knew his job.I am very pleased. Thank you. We now have a NEW SUITE - WONDERFUL. Friendly & professional - Honest as to the condition of my furniture where not able to restore. Both the carpets and the furniture are greatly improved. The work was completed efficiently and with minimum fuss. Very pleased with suite and carpet. I would pass your name on to anybody. Vinny was very professional. Excellent time keeping & quality clean. Very pleased. Our carpets have been down far longer because we have the Maintenance plan. If we have a spill or stain we call and get an immediate response. Very professional behaviour. Upholstery looks brand new and smell amazing. Excellent value for money. Highly recommended. We are delighted with the cleaning of our furniture and rugs. We were extremely impressed with Vinny. Very professional and such a likeable character. My carpet & furniture look lovely. I have recommended your company to my friends and two have booked with you having seen the results on my carpets. It seems to be alot to pay but I consider it worth the money. Nick was lovely - very kind and hardworking. My carpets look amazing - such a difference. Very friendly, quick and efficient. Very professional & friendly service. Very good service and cleanliness. Will recommend to anyone. The Maintenance plan has maintained our carpets in excellent condition over many years and we have no hesitation in recommending your company to anyone. Very pleased. Hopefully get another two or three years wear out of them. Very friendly and efficient service from Vinny. He carried out the cleaning of carpets and sofas with minimum disruption. We are very satisfied and pleased with the results. A truly professional job! Everyone was friendly and efficient. Vinny has done a great job - Our carpets look new again! We certainly will recommend you. A big Thank you. Very friendly and excellent overall finish on our settees. Very pleased. It was a friendly & efficient service. The results are excellent. Expertly done in a friendly manner. Very pleased with the result. Wouldn't hesitate to use your company again. I would recommend you to friends & family. We used yourselves previously for an urgent stain removal and found your service prompt & helpful - hence using you again for this visit. Amazing service, worth every penny. Vinny was a fantastic guy, he represents your company very well. No pressure quote with different options offered. Excellent service & friendly staff. Sofa looked like new again - Great job Vinny. Thank you so much. Very professional, and they have done a great job. Very pleased. The standard of the clean was very good and Phil was very polite and spent time getting stubborn stains out. The suite looks great and also smells great. Clean carpets done to a high standard. Honest assessment of the need for scotchguard. I was very pleased with the service I received from Careclean. Vinny was very efficient and produced excellent results. I shall most definitely recommend the company. As the suite is over 30 years old I knew it wouldnt come up as new but certainly looked much better. The gentleman who did the job was friendly, polite, and helpful. Have saved having to buy new suite. Personal contact with employees, all of whom were professional as well as friendly. You did an excellent job. I'm very pleased with the result. Careclean are polite, informative, reasonable price and not pushy. Suite cleaned well. Good timekeeping & professional cleaning. Fab. Lovely guy, Lovely result. I am very pleased in everyway with Vinny's work. I am pleased with the finish now all has dried. The difference is noticeable. When needed again I will definitely call you. Thank you Vinny. Job done as promised. Professional & friendly approach. Very professional - large stain on carpet completely removed and settee came up better than expected. Very friendly, helpful staff. Vinny was very helpful and tidy. A good job well done. The end result was absolutely amazing, it is like having a new pair of sofas again. A professional, friendly service which we would use again. Thank you. One of the most efficient companies I have had dealings with - WELL DONE VINNY - you are lucky to have him. Very good. Quick service, Chairs look lovely and clean and smell amazing. Very helpful, friendly man. You were pleasant people and did a good job and you were on time. Well done. Very impressed with service and cleaning will definitely tell friends and family. Very competitive price also. Friendly and courteous throughout. Very efficient, courteous & informative staff. I would be happy to use Careclean again & recommend you to others. Thank you. An excellent job carried out most professionally. Very profesionally presented. Really pleased with results of carpet cleaning would have no hesitation in recommending your service - Thank you. Every person that has been sent to clean has been friendly, helpful and accomodating. Very efficient from begining to end. Punctual, hardworking, friendly and did a good job. Sofa's look like new - very pleased. Professional attitude & good advice received. Both my suite & carpet were cleaned very well & I am completely satisfied with the results. I would be happy to use Careclean again in the future. Professional and carry out a good clean. Very efficient service and I was pleased with the results. We now have a sparkling as new carpet and upholstery in our lounge resulting from Care Cleans professional service - We recommend them to anyone. No mess, quickly & efficiently done. Colour restored to settees. Helpful and considerate -Arrived on time and job completed with no fuss. Thank you. A very efficient service and the cleaning of our suite by Vinny was excellent. Main benefit: Minimum of fuss throughout. Very efficient, friendly & competent. A 1st class clean and very informative about areas of wear etc. A very professional job. Considering it's an old suite I'm very pleased with the results and Phil did a very good job. I was absolutely delighted with the change in my carpets and upholstery. Phil & Nick were very polite and friendly. Thank you for making my furniture clean again. Professional and efficient and the result was better than I'd thought it could be. Very good service - sofa looks like new again. I'm pleased I chose Careclean. Brilliant service. Vinny made my carpets & suite look like new again. The excellent and friendly service you gave us and the carpets came up like new. Would recommend your company to others. Good value. Phil was great and very friendly and did a wonderful job. It's like a new suite , didn't think it could come up to that standard as the suite is very old. Firstly your staff member was very polite and informative, the cleaning is superb and I am well satisfied. Thank you very much. Would definitely recommend. Well pleased with the result. Excellent and Nick was a pleasant man. Carpets are as good as new again. Furniture nice and bright. Excellent, cleaning results excellent/good as some stains didnt all disappear but maybe unrealistic to think they would. Overall very happy with daling with your company and will recommend you. Very satisfactory, staff very friendly and professional. Job well done. The chairs have been cleaned really well and look good as well. Friendly, polite cleaner, makes such a difference when someone is working in your home. Quick and efficient. Very pleased with results for my carpets and furniture. Professional & friendly service. Vinny was hardworking and efficient. We would definitely use you services again and recommend your company to anyone. Thank you. Very good service. Vinny arrived on time, was very friendly & efficient. Our suite looks so much better. Thank you. Did what was asked for and in a helpful way. Excellent and very helpful staff. Nick was very courteous. Very good. Took care of surrounding furniture, worked well. Furniture & carpet came up well. Looking very clean. Excellent and very professional. Very pleased with the cleaning and Vinny was very polite. I will recommend you to family and friends and use you again in the future. First class in everything. This was not your first visit & I'm sure it won't be the last. Thank you for a perfect job. Very good in all aspects and would definitely recommend you to our friends. This is the third time we have used Careclean over three years. Every time work has been completed to a very high professional standard. I very much appreciated being kept in touch and having everything done when you said it would be. Thank you. A very good job well done. I appreciated the updates with the phone calls. I would recommend you to our family & friends. Thank you. I have used your Company for many years and have found you to be excellent. For a white leather sofa which came out very clean, I was very impressed. Excellent work carried out in a professional and friendly manner. Helpful and efficient. Would definately recommend to other people. Our leather suite is certainly a great deal cleaner. The quality of cleaning is amazing. Our cream furniture looks almost new. The staff very friendly and professional. Would highly recommend to anyone. Many thanks. Since having our 3 piece suite cleaned, it now looks as good as when we bought it 43 years ago. I found everything very satisfactory. All staff I dealt with were friendly and courteous, which was very refreshing as many these days are not. I am also very pleased with the cleaning of my three piece suite, it has come up lovely. Thank you. The cleaning was done efficiently and with minimum disruption. Every dealing I had with the company was courteous and helpful. Simon was hard-working, friendly and extremenly polite. I would have no hesitation in recommending your company. I thought that the whole process was thoroughly dealt with from the quotation through to dealing with the cleaning in a very tidy & business like way. Also back office staff were polite & made a point of reminding me of times and dates of visit. Overall feeling : Clean/Satisfactory result. The suite & carpets cleaned well. Very efficient. You did a good job & I can definately see an improvement in the colour of my carpet & 3 pce suite & realise they were quite gruby! I am so pleased with my carpet & 3 piece suite, I really can't thank you enough. Everything that was planned was followed through to the end. I have already recommended you. Quick & efficient service with excellent results. I was very impressed with how my leather suite looked and also my dining chairs. We take time to write cleaning tips such as, how to take care of your leather sofas, get tough stains out of your carpets and let you know our monthly offer! Give it a read, you might save some money and learn something new! Let our friendly team explain the cleaning process and make you feel 100% at ease. Call us today and we can give you a free no obligation quote. The CareClean team are friendly, approachable and professional. If they are going to miss the agreed time by more than 10 minutes, you’ll receive a call. You’re covered by our 100% iron-clad money back guarantee. So, if for some reason you’re not happy with our services, please do not hesitate to call us.